The painful blows the Sudanese press of history and rich record has been exposed to have shaken the fourth authority, whereas the malignant and deadly interventions over the past quarter of a century by the government cost it its regional and global position to come in the bottom of the reports of the world organizations on the freedom of expression and the freedom of the press. The significance here is enough through one glance to those highly credible reports. Some journalists say their profession has during the past the current periods become a repellent profession and even leads some journalists to prison because of spiteful lawsuits in the capital and the states as the economic conditions of the newspapers declined for the numerous punishments, sanctions and restrictions imposed by the government, which sometimes amount to permanent or temporary suspension of newspapers and confiscation of printed issues and putting pressure on the journalists and summoning them to the offices of the National Intelligence and Security Service (NISS) not to mention the pecuniary fines and suspension or banning from writing, rendering the period as the worst for the Sudanese journalism, according to the coach of generations and dean of the Sudanese journalists, ustaz/ Mahjoub Mohamed Saleh who attributed this to the imposition of preprinting security censorship on newspapers by the National Intelligence and Security Service (NISS) in an unfair transgression and violation of the right guaranteed by the Sudanese Interim Constitution of the year 2005 vide the text of the articles ( 39:1 ) and ( 93:2 ) which stipulate: "Each citizen has an unrestricted right to the freedom of expression, has access, receives and disseminates information and publications, and has access to the press without prejudice to the public order, safety and morals" and "the State shall guarantee the freedom of the press and the other mass media as regularized by the law in a democratic society" . Besides the National Intelligence and Security Service (NISS) exercised systematic targeting of the press such as the confiscation of newspapers after printing and thus inflicting financial damage on the newspapers leading to the suffering of newspapers like ( Al-Maidan ) and ( Al-Ahdath ) and ( Al-Tayyar ) and ( Al-Sahafa ) and ( Ray Al-Sha'b) and ( Ajrass Al-Hurriya) before it was finally closed. The National Intelligence and Security Service (NISS) lately instructed the printing presses not to print the newspaper of ( Al-Maidan) which has been prohibited from printing for more than two years now. In spite of the constitutional right contained in Article (3) of the Bill of Rights, which reads : (All the rights and freedoms enshrined in the international conventions, covenants and charters of the human rights, ratified by the Republic of Sudan is an integral part of this document) , and Article (4) of the same document reads : (The legislations governing the rights and freedoms contained in this document but they do not confiscate or detract them). The press today suffers from a bundle of problems we can put in dozens of papers and books due to the large number of violations. During the popular protests that ( shook ) the different cities and states of Sudan in June of the year before last a number of journalists were attacked, beaten and detained before being released later and at the same time, the security authorities imposed censorship on everything published on websites and the social networks besides the blocking of some websites . While the security authorities imposed a tight control on the newspapers during the demonstrations of last September in which hundreds of young people and students were killed, according to human rights organizations and almost a hundred protesters, according to the government, whereas the protesters were shot with live bullets which led to the killing and wounding of several hundreds, some seriously and some succumbed to their injuries and passed away . The proof of our assertion that the press has declined is the poor distribution at a percentage more than 40% in 2013 when the newspapers used to distribute (500 ) thousand copies a day which dropped to more than 300 thousand copies a day, besides (12) newspaper stopped in 2013, namely: (Al-Garar , Al-Akhbar, Noon , Al-Moj Al-Azrag , Sada Al-Mala'ib , Al-Hilal, Al-Meriekh , Al-Shabaka Al-Riyadiya , New Sport , Super and Funon. 20 political newspapers issue in Sudan (including two English dailies, (8) sports newspapers and (4) social newspapers and two weeklies , namely: ( Al-Aswag Al-Igtissadia , and Eilaph ) in addition to three weekly newspapers publishing in Port Sudan, namely: ( Port Sudan Madinati , Soat Bro'ot and Amwaj) and newspaper (Al-Amkina) newspaper issuing from the city of Wad Medani. The Editor-in-Chief of Al-Aiyaam newspaper, ustaz/ Mahjoub Mohamed Saleh said in a statement to The Citizen that the report published by some newspapers about the direction of the ruling National Congress Party (NCP) for the expansion of press freedoms if true is an important step, but it requires a serious and comprehensive dialogue with the journalists, publishers and all the quarters whose work is related to journalism to solve the problems of the profession at once. 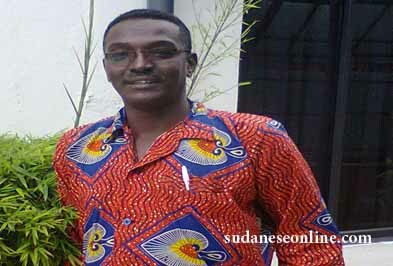 Saleh, a renowned journalist who won the Golden Pen Award elucidated that the Sudanese press is living many problems. For his part, ustaz Faisal Mohammed Saleh, if true, such a step by the government is good and needed and warned that the Sudanese press has suffered greatly from the government and its security forces , which tried to (silence the journalists and bring out the largest number of newspapers from the market) , stressing that the systematic narrowing against the journalists and banning some of them. Faisal who won award for courageous journalism said the government is annoyed of the existence of newspapers and journalists, saying as a result of these policies and practices, Sudan has remained in bottom position in international reports on the situations of the press in the world and stressed that if there was a new vision and new policies, such should start by the formulation of a new relationship of the press with the authority and stay committed to the Interim Constitution and its texts and shackle the hands of the security services not to interfere in the work of the press and concluded saying: "We have nothing to lose if we get optimistic by these statements and we do not expect their practical application". In the meantime, the Editor-in-Chief of Al-Maidan newspaper, ustaza/ Madiha Abdullah said to The Citizen: "We do not want promises, but urgent decisions to lift the preprint and post-print censorship on all the newspapers" adding:"The rights do not afford promises and are protected by the Constitution" and stressed the need to let the suspended newspapers to resume printing like Al-Maida, Ray Al-Sha'b, Ajrass Al-Hurriya and Al-Tayyar and called for compensation to the newspapers that sustained damage due to the confiscation and closure. When I asked the human rights activist and journalist Faisal Al-Baqir, he said "first we should consider these press statements and the free of charge political promises in the context in which they were made, which is a broad context of a broad , trying to reassure and seeks to convince the people that the regime is in its new edition is intending to change its authoritarian nature that is anti- freedoms in general , especially the press freedoms , for this the state should prove its credibility by the so-called " demonstration by action" and the ones who made these statements should prove his/their seriousness and good intentions and lifting the security censorship and control over the press and allow the press to play its role and shoulder its responsibilities under no tutelage by any quarter. The first thing to happen is to allow the suspended newspapers and banned pens to unconditionally resume publishing and writing" and to apologize to them and redress them "morally" , and excluding any return to such practices anymore in the future, not through empty talk, " but by repealing the freedoms restricting laws, in what we can call the creation of " the climate "
Al-Bagir said that the climate must be created through legal and legislative reforms , which are well-known and must be made through the necessary reforms in an integrated package to the forefront of which are (the freedoms ) which cannot be selectively done or by reviewing or afford any tactical retreats, here or there. Faisal wandered how can the press society believe the press statements on the expansion of freedoms, while the National Intelligence and Security Service (NISS), the ruling National Congress Party (NCP) and its icons have tightened their full control on the press institutions by the full ownership, partnerships and shares owning and even it reached the verge to impose the security appointment of the press leaders of the written press and identify the names of those to be editors in chief and who hold leadership positions and who writes in the printed media and who run the shows and programs and appear on TV channels, which are called "independent" or "private"
Al-Baqir went on saying "as for the customs exemptions for printing inputs and the exemption from certain fees and levies, it is plausible and possible and even unsurprising, unlikely or unbelievable. It is believable simply because the majority of the press and the printing press institutions and houses of distribution have become owned - totally or partially – by the security services and the ruling party and the loyalists and this pours in the application of the policy of "the economic empowerment" espoused by the regime and bringing it to the ground of reality in the field of journalism and the media to complete the chains and episodes of corruption, corrupting and harnessing all the state to the service of the regime ! . Al-Baqir who is a founder of the network of journalists for human rights and an activist in other freedoms networks, said" (unfortunately) the situation in the field of journalism, its conditions, freedoms and industry has reached the total collapse, and this cannot be repaired through the "patchwork" , or tactical maneuvers and for this , any talk about (the expansion of the press freedoms ) in this climate and in these conditions is just throwing the ash in the eyes. The activist in the field of the press freedoms stressed the requisite to continue the struggle by the press community to take back the rights by force and by pressing, organization, networking and litigation, without believing such promises that have already been said several times before and even "consumed" a lot in previous occasions, and in more than once , only to the National Intelligence and Security Service (NISS) to return to practice repression and escalated abuse and the imposition of "custody" on the press . For his part, the Secretary General of the Sudanese Journalists Union (SJU), Al-Fateh Al-Sayed said in statement to The Citizen that they welcome and support the move to enable the press to play its role in enlightenment, education and the provision of information. Al-Fateh demanded enacting of laws to allow such and said that the next stage requires the concerted efforts and consolidation of everyone . In contrast, the director of the ustaz/ Mahmoud Mohamed Taha Cultural Center, Dr Asma'a Mahmoud Mohamed Taha said in statement to The Citizen yesterday: "How many times have we heard such statements through the same newspapers over and over again, but unfortunately we did not see such in our everyday reality or any trace of it, and I wish such would be fulfilled". Asma'a said the next few days will witness the 29 anniversary of the killing of Mahmoud Mohamed Taha, stressing: "We'll see how credible the statements are. Last year all newspapers were banned from publishing any matter positively or negatively about Mahmoud besides the Center was also prevented from commemorating the anniversary, on 18 January" and explained that "democracy" as a concept and practice cannot be fulfilled unless by those who are democratic by conviction and belief, a matter which the dictatorships lack, whether military or civilian . In the context, ustaz Mohammed Al-Fateh Hemat, the member of the Secretariat of the Sudanese Journalists Network said in his statement to The Citizen yesterday that the National Congress Party (NCP) wants to turn the freedom of expression into a commodity subject to supply and demand. He pointed out that the targeting of the press and violations of the freedom of expression are no less than the crimes and violations committed in Darfur, the Blue Nile and South Kordofan. He urged for administering an open dialogue with the journalists and the interested people without exclusion. He indicated that the security service is banning about (20) journalists from writing besides the displacement and dismissing of about (35) journalist from work last year, saying what is required is an open dialogue with the participation of everyone . In may conversation with renowned economist Mohammed Rashad about exempting the printing inputs from fees, he told me that the correct course of action is that such statements should come from the economic executive organs like (the Ministry of Finance (MOF), the Central Bank of Sudan (CBOS), the Customs, the Chamber of Taxes and otherwise ), noting that the draft budget for the current year depends heavily on the levies of various kinds and forms as the inputs include the paper, inks and some spare parts of the printing presses which are all imported from abroad and need foreign currency to import them and what is known is the constant climb of the prices of foreign currencies against the Sudanese pound, stressing: "This is the crux of the matter (bottom-line), and the big burden that impedes the continued distribution of newspapers in the country" and asked: "Will the government provide the foreign currencies in the banks or even in the parallel market for the import of newspapers production inputs". Rashad pointed out that the government suffers from importing the basic strategic goods in subsidized dollar, such as wheat and gasoline, which is witnessing successive crises. He concluded saying s:"if the government is unable to provide drugs for subsidized prices, so does the newspapers represent a priority for the government". 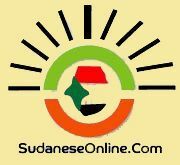 The Sudanese Organization for Defending Rights and Freedoms cited too many restrictions shackling the freedom of the press and the freedom of expression besides the security preprint censorship on newspapers, besides their confiscation and closure. From the editor: In general what we see in reality is the continued violations that shackling of the press, which, as we explained above has declined dramatically to lead some people to describe it as a profession in danger.